Question from the title keeps popping up now and again. It has been like that ever since we launched ActiveCollab back in October 2007. 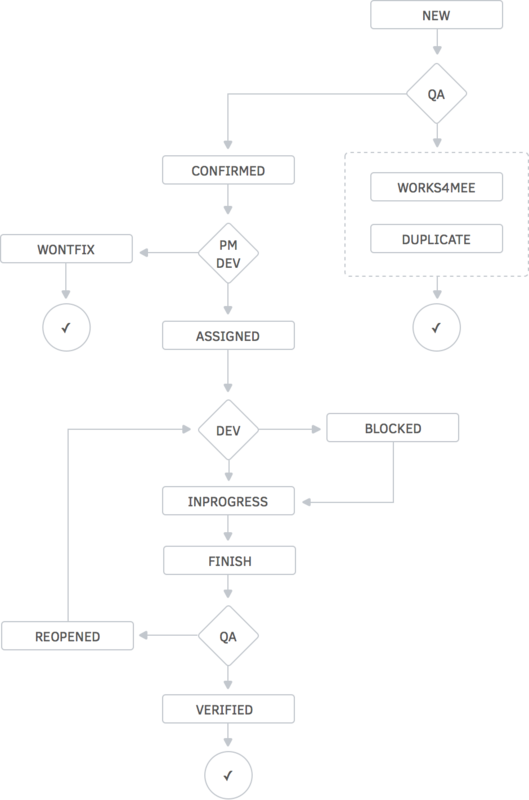 I always found it strange because we used ActiveCollab for bug tracking from day one (actually, from the day -90 because we started using it to manage ActiveCollab development three months before we made it available for sale). That’s 6+ years, during which we grew from 3 guys in a rented apartment to 12 developers in A51 office. Amount of work that we push through ActiveCollab also grew significantly in that period and it scaled nicely. From our perspective, a bug is a task that needs to be handled. We have a main project for ActiveCollab maintenance (called “ActiveCollab Maintenance”). Refactoring — it’s important to pay off your technical debt. 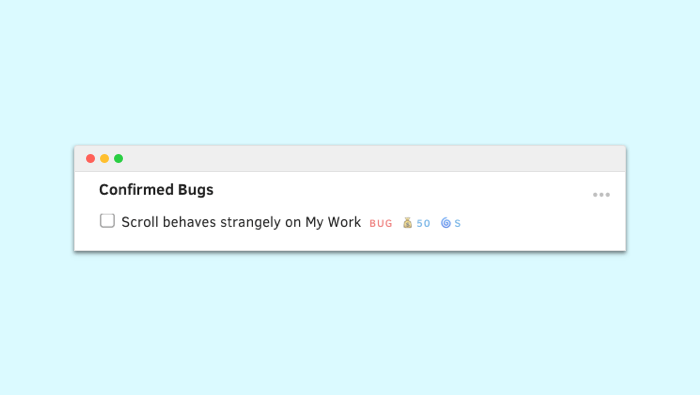 When a bug gets reported (by our support technicians), it starts with a label NEW. Our QA has a filter that shows him all tasks marked as NEW. He goes through them and checks if he can reproduce the problem. Once reproduced, bug becomes CONFIRMED and we decide when this bug will be fixed (usually next bug fix release). For example, if a bug was reported for ActiveCollab 5.0.13 today and it was confirmed, our QA would set it’s a milestone to “ActiveCollab 5.0.x Maintenance” (thus making it clear that it needs to be fixed in one of 5.0.x bug fix releases) and set it’s a label to CONFIRMED. Then our developers and project managers come to play. They see a list of confirmed bugs and pick the ones they want to work on by assigning themselves to the task. When they start working, they set task’s label to INPROGRESS. Once they fix the problem, they mark the task as FINISHED. QA sees a FINISHED task and creates a new test build to verify that bug has actually been fixed. If it has been fixed, the task label is set to VERIFIED and the task is completed. In (rare) cases when a bug was not fully covered and needs more work, our QA marks it as REOPENED and notifies the developer about the problem. REOPENED task gets FINISHED again, and the process continues until we get to VERIFIED. BLOCKER — a bug that is blocking other tasks. Cause even the most sophisticated, specialized bug tracking tool will fail without the latter.